Tenaciously it is defying time as well as interpretations of a sworn in believing-community about its reason for existence. 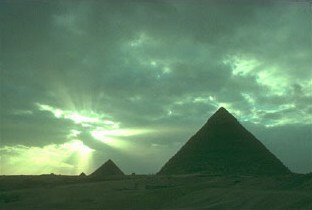 In ignorance of the proven facts, that group, based like a religion on dogmas, believes in the Great Pyramid as a gravesite, a necropolis. As the following pages show, actually it is a gravesite, namely of that phantasy construct, well known as Egyptology, because the ancient creators of the pyramid possessed knowledge, which no egyptologist would award them today.